In the transition phase to a new console generation, it can cost the more tech-laden gamers a bit of extra time and money to get everything up to date. Microsoft and Sony have softened the financial strain with inexpensive upgrades to next-gen version of certain games. Now, Turtle Beach is getting into the spirit. The headset manufacturer noted in a press release that consumers that have purchased certain Xbox 360 headsets within a certain time frame will receive a free upgrade pack to make the headset compatible with the Xbox One. Yes, that is completely free. Turtle Beach will send the free upgrade kit on their own dime as well, so all you have to do is apply for the kit and sit back and wait. You’ll need the UPC from the eligible headset, the list of which includes Ear Force XP SEVEN, X42, XP400, and XP510. 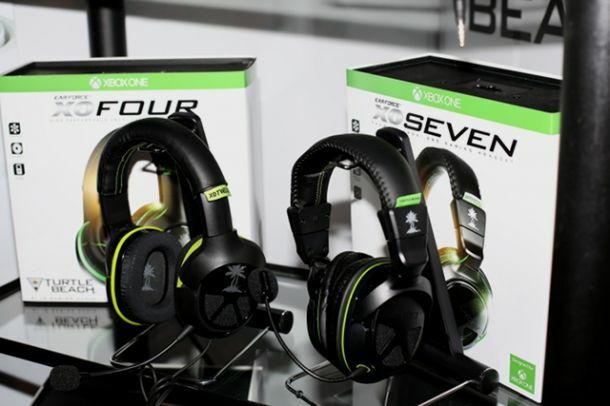 You’ll need to purchase the headset between November 22, 2013 and January 30, 2014 so you have plenty of time if you want to nab and Xbox One during a Black Friday sale and use the cash you saved on a fancy new Turtle Beach headset. The kit will include a Microsoft proprietary audio control unit that interfaces with the controller, as well a cable that goes from the headset to the control unit. That’s all you’ll need to get your headset working with your new console, so it should make things pretty easy to switch over when the time comes. You can find out more at the promotion’s website. Are you going to spring for one of the headsets with the knowledge that you’ll be able to use it on the Xbox One? Tell us in the comments or find us on Facebook and Twitter!